Over the past few months I’ve learned more about translations, the people who need them, and good customer service than I ever thought I would—all without translating a single word. In May, I joined Multilingual Connections, a translation and transcription company based near Chicago, as their customer relations manager. In the office, we have debates over what words really mean in this particular document in this particular language, and trilingual magnetic refrigerator poetry in English, Spanish, and Yiddish. It’s also a front-row seat to the sheer variety of demand for translations. In a single day, I might talk to the owner of a small consulting firm, a museum curator, and a project manager at a construction company with multiple overseas branches. I say “might” as a technicality; there’s no reason they couldn’t all call on the same day. A natural consequence of all this variety is that no two requests for translations are identical. This is where I come in. As the customer relations manager, it’s my job to make sure that no client’s needs or requests get overlooked as I confirm their project details and prepare them to be handed over to their project manager. As a result, I’ve been lucky enough to talk to people with wildly different backgrounds and jobs from completely unrelated industries about what they expect in their translations. If I want to keep my project managers happy—and doing so has always been one of my highest priorities both as CRM and as a freelance translator—I have to learn as much as possible from the customers before we start. You never know who will want something translated, and even if you do, finding that person may take more than one attempt. I once cold-called a company and, with no better strategy, I asked the person who answered the phone who was in charge of translations. She connected me with the marketing department, where I proceeded to leave voicemail messages several times over the next few weeks before finally finding the contact’s email address. A reply came just five minutes after I wrote: She wasn’t in charge of translations, but here was the address of someone who was. It was tempting to give up on contact with the company after receiving no response to my first call, but persistence (not pushiness!) got results. Don’t sell the drill, sell the hole. I must give credit to my boss, who said this to me during my first week. 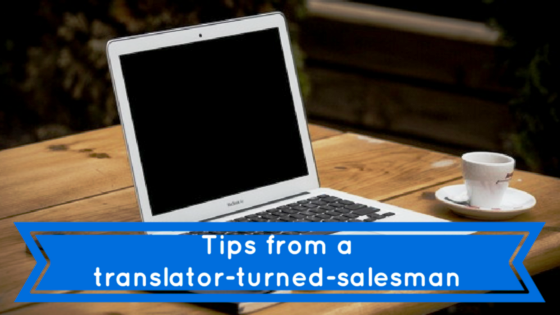 It’s easy to get excited about translations and your expertise as a translator, but it also pays to remember that clients are trying to solve problems. Translations are just the tools to do so. I once spoke with a client in Texas who worked for a mortgage company and needed the deed for a property in Mexico translated into English as part of a legal procedure. He stayed silent as I went through our editing process and the qualifications we expect our translators to have. When I mentioned that the translation would be notarized, he sighed and thanked me. His concern hadn’t really been whether the translation was of the highest quality, although I’m sure he appreciated it. He had just wanted to keep his legal proceedings simple, and notarization did that. I’ve found that attention to clients’ problems, and offering tailored solutions, is a mainstay of good customer service. In her memoir Bossypants, Tina Fey writes about a basic principle of improv comedy, commonly called “yes, and.” The idea is simple: when someone says something, it’s always best to agree, then add something. When talking to clients, I’ve found this can make a tremendous difference in how they feel the conversation went, particularly when conversations turn negative. It’s a technique that simultaneously validates the customer’s concern and naturally steers you towards finding a solution. Yes, you’ve missed a deadline, and you’re working to finish the assignment as you speak. It can make bad news sound positive too. I once listened to a colleague tell an upset customer that, yes, we could not deliver the translation within their ideal timeframe, but delivering it so quickly would put the translation at risk for errors. The customer hadn’t seen things that way, and agreed to a more lenient deadline. I’m still convinced that it was the “yes, but…” method of spinning the negative (a delayed translation) into a positive (a more accurate translation) that did it. 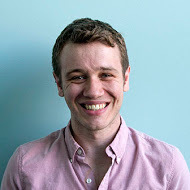 A translator of French and Spanish to English by training, Dan McCartney is the friendly voice incoming customers hear when they call Multilingual Connections, a translation and transcription company. He lives on the North Side of Chicago. 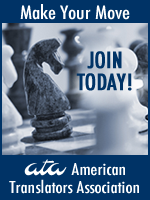 ← Following up after the ATA conference—How to ensure your efforts and expenses don’t go to waste! Nice information. Definitely it will be helpful to newbies. Thanks! !